Harry M. Iannotti, MD is a practicing Urologist in Providence, RI. 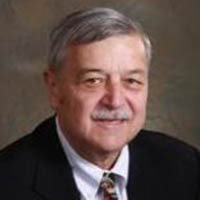 Dr. Iannotti graduated from Boston University School of Medicine in 1966 and has been in practice for 51 years. He completed a residency at Boston City Hospital. He currently practices at University Urological Associates Inc. located at 827 North Main St, FL 2, Suite #4. He is affiliated with Butler Hospital, Memorial Hospital of Rhode Island, Rhode Island Hospital, and Women & Infants. Dr. Iannotti is board certified in Urology.